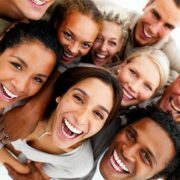 What are the concerns with Gen Y in the Workplace? 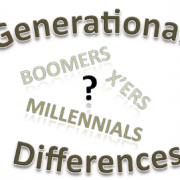 How can these generational differences be leveraged? Experts shared with us their experiences and perspectives. 1) The Gen Y-ers, those born after 1980, eager to use social media and the latest digital technology to promote their companies, build loyal clients and foster worldwide connections, all from their phones or computers. 2) The Gen X-ers and Baby Boomers, those born between early 1960s to the early 1980s and between 1946 and 1964, respectively, with more years of work experience under their belts and an understanding of the power that technology can have in making or breaking a company. Regardless of the generational differences between these two groups, their shared primary challenge was keeping up with the rapidly evolving tech scene. 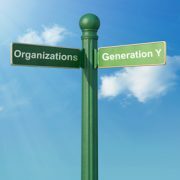 Generation X and Baby Boomers were eager to leverage the increasing size of Generation Y in the workplace as a conduit to improve efficiencies in their companies. Some Generation X/Baby Boomers were also frustrated that there were no universal laws for using social media. They felt it was tough for them to learn more about the positive benefits of new technology when protocols differed so greatly between industries. Samantha Heron, who works in finance at MetLife, pointed out that in an industry as private as finance, almost all information needs to be kept under wraps. Even a seemingly innocent Tweet such as “Got takeout in the office cuz I’m working super late tonight on a big project!! !” could tip off competitors or reporters that something big – an acquisition, executive turnover, a new account – could be in the works. Once information slips, a possible deal could go south. 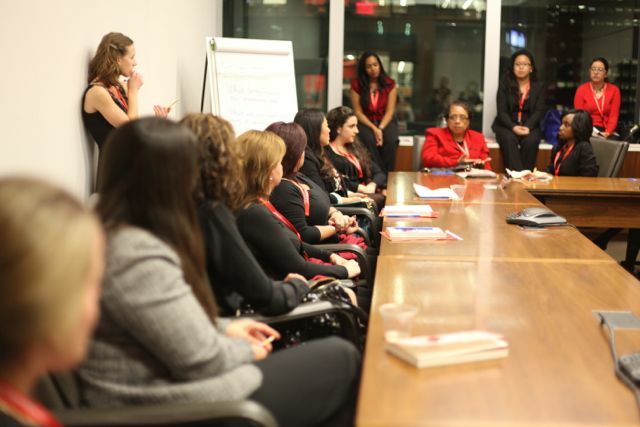 Kary Takach spoke up about her experiences in the hospitality industry at Andaz Wall Street. She understood the importance of embracing technology in her industry, especially to help foster loyalty among guests and ensure they choose her hotel again when they come back into town. She noted, though, that in a business like hospitality, sometimes nothing can replace the comfort that comes with face-to-face interaction. It’s a reminder that she has had to give to some of her younger, iPhone-addicted employees. 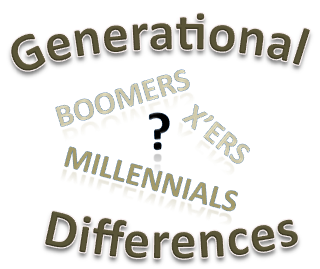 The Gen Y-ers in the room were receptive to Gen X /Baby Boomers’ concerns. As a matter of fact. a few even acknowledged how overwhelmed they often feel with the daily appearance of new tech apps, even though they’ve grown up embracing the latest gadgets, platforms and ways to connect. The Gen Y-ers present also agreed that for every brilliant Tweet or Facebook post, there are probably ten more useless ones, and sorting through the sludge of the Internet can be exhausting. A few admitted that they and their colleagues had some harsh reality checks when one of their seemingly innocent social media posts spun out of their control, garnering unwanted attention. 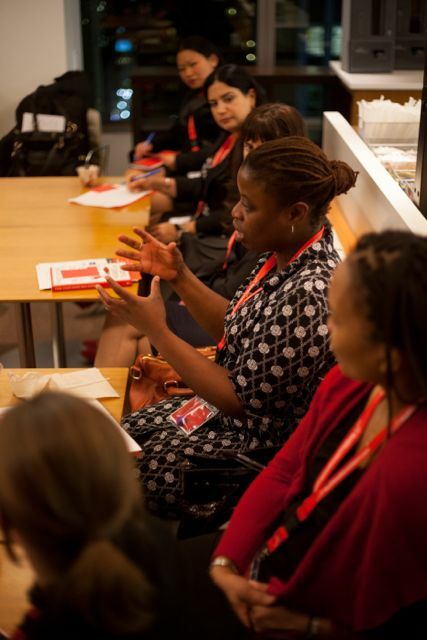 Despite any generational differences, both groups at the event agreed that each generation had plenty to learn from the other. The more experienced professionals could help the Gen Y-ers (especially the ones that thought Tweeting out a picture of their morning coffee was a productive use of time) determine what belonged on public social media accounts, and what information needed to be kept private. It’s a lesson that too many young workers have had to learn the hard way. They agreed that older colleagues shouldn’t be afraid to create very specific rules about what can and can’t be shared publicly, and then enforce punishments if certain info is still leaked. It was generally accepted that Gen Y-ers now had a chance to become the experts in their places of work. They could help their colleagues understand the ins and outs of managing a social media account, discover compelling and informational online contacts and dream up new ways to reach out to clients via the web— All invaluable strategies that should be enough to set generational differences aside as they could greatly benefit the bottom line of the organization. 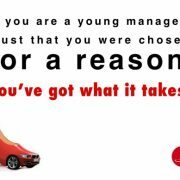 Young Managers of Older Employees - 4 Secrets to Success!